Dusk is supposed to start at 6:57 p.m. on October 31st. While most houses will turn on their porch lights for trick-or-treaters at 6 p.m., it’s important to provide children with flashlights & fresh batteries. Consider adding reflective tape or striping to costumes and trick-or-treat bags for greater visibility. This will make your children visible to any cars driving through the neighborhood. Instruct your children to travel only in familiar, well-lit areas and avoid trick-or-treating alone. Make sure that your little trick-or-treaters have shoes that fit well and costumes that are short enough to prevent tripping, entanglement or contact with flame. Because masks can limit or block eyesight, consider non-toxic makeup and decorative hats as safer alternatives. Hats should fit properly to prevent them from sliding over eyes. Lastly, makeup should be tested ahead of time on a small patch of skin to ensure there are no unpleasant surprises on the big day. To get your home ready for receiving visiting trick-or-treaters, remove anything from the porch and front yard that a child could trip over such as garden hoses, toys, bikes and lawn decorations. Any wet leaves or snow should be swept from sidewalks and steps. Replace any outdoor lights or burned-out bulbs. Lastly, if you have any pets, be sure to restrain them from inadvertently jumping on or biting a trick-or-treater. 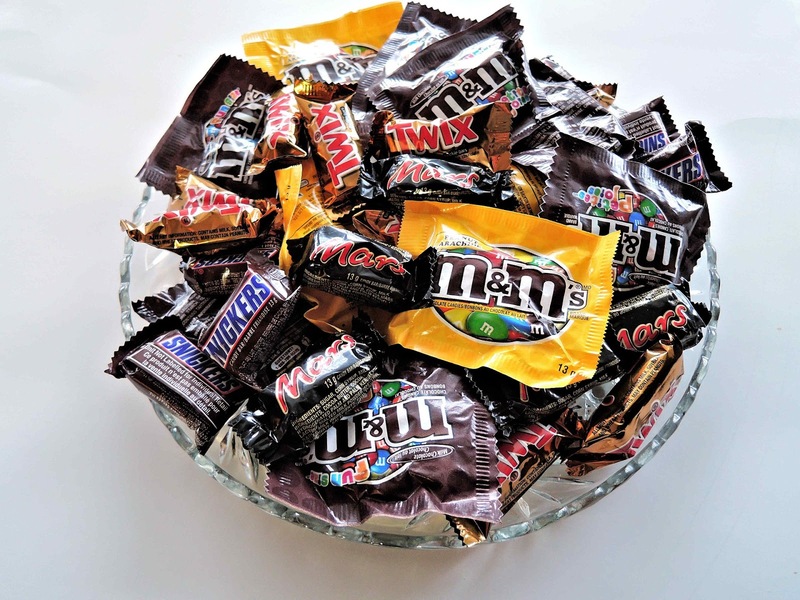 Checking candy for potential hazards before allowing your children to consume it is a great way to keep your family safe. Many local police departments provide community support by scanning candy for potential contamination. Here are a few additional tips from that will help you distinguish potential hazards. Disregard anything that is not commercially wrapped, such as homemade baked goods. Parents of young children should remove any choking hazards such as gum or hard candies. 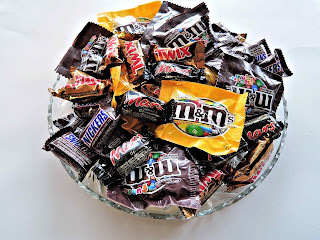 If you find any candy that has been tampered with call your local police department immediately. Always remember when in doubt, throw it out! Sticking to some of these basic safety tips should ensure a fun and safe evening for everyone. Happy Halloween! Renting an apartment can be scary. As you consider available options for your new home, you likely search for a clean, affordable apartment in a safe neighborhood. But before you can check if those qualities are being met, you first have to make sure it’s a real listing. Rental scams are one of the fastest-growing types of fraud nationwide. With help from the internet, apartment-searching is easier than ever. Unfortunately, that convenience has a price. Anyone can list a unit “for rent” for any price. While most listings are legitimate, some are not. With a few pictures and emails, scammers can convince you they actually have a luxury apartment available. Check rental prices of similar-sized apartments in the area. Research the average renting price in most major cities. If an apartment is being offered for considerably cheaper than most others, it’s probably a scam. 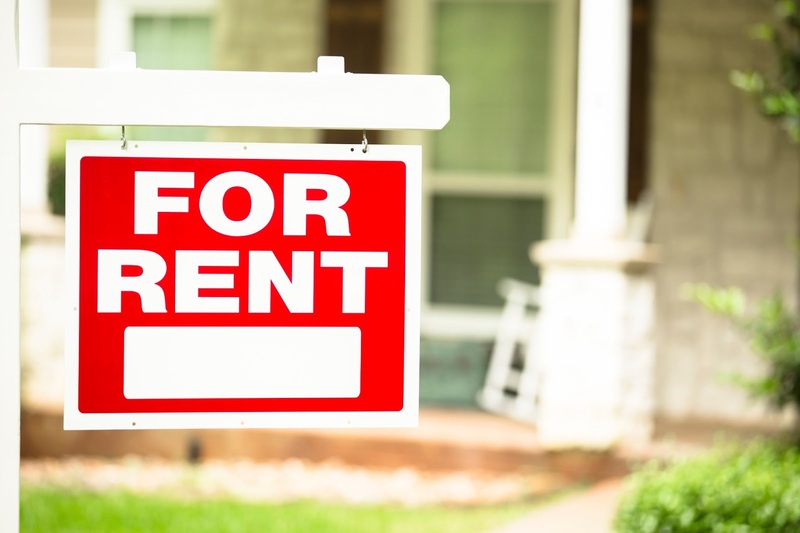 If the landlord has a supposedly tragic reason for the low rental cost, don’t be fazed. Odds are the story isn’t true. If it is, let someone else help your poor landlord-to-be. If the posting is written in poor English, be cautious. Legitimate companies usually use listing agents who have experience writing postings; individual lessors are rare. If you’re asked to wire money – especially if you haven’t seen the apartment yet – that’s a scam. “Showing fees” and “pre-screening charges” do not exist. Don’t ever rent an apartment, sign a lease, or pay a deposit without seeing the actual apartment. Don’t give anyone unnecessary personal information. Your email address and phone number are important for communication–your credit card number is not. You may need to leave a copy of your driver’s license with a rental agent while touring an apartment, but no one else should need personal information prior to showing you a house. Anyone asking to run a credit check before showing you a property wants you as a victim, not a tenant. Wherever possible, try to work with someone local. Ask the person offering the apartment to meet you in person and show you the property so you can see it’s real and not inhabited by someone who doesn’t want to move. If something seems fishy, research it. Search online for the name of the person or company listing the property to verify that they’re actually listing it. There are many online forums dedicated to outing scammers. If you notice something off-putting about your potential landlord, add a post and move on. Wherever there’s money changing hands, someone will take advantage. Scammers can quickly produce photographic proof that a place exists and then ask you to pay them immediately. As a renter, you’re taking risks, but following these rules can keep you safe. With a little caution and a lot of common sense you can find your dream apartment. Move over, breakfast! Lunch is the new king. Recent studies show that employees who take a lunch break are more likely to be productive in the afternoon and avoid long-term burnout. But lunch’s sudden popularity has negative effects, specifically the enormous amounts of money Americans spend each week dining out for lunch. Looking for an alternative to sushi five times a week? The best answer is the simplest: brown-bag it. Studies show that eating out for lunch can cost between $1,500 and $2,500 per year. However, with some planning, you can spend as little as $5 per brown-bag lunch. Five meals a week, times $5 per meal, times 48 working weeks equals only $1,200, adding $1,300 to your year. Interested? Here are three tips to jump-start your new lunch habit! There are several money saving ways to outsmart your supermarket while grocery shopping. First, bring your headphones! Listening to upbeat music makes you shop faster and buy less of what you don’t need. Second, do a pre-checkout audit of your cart. Grocery stores design their checkout lanes to discourage people from returning items to the shelves. Don’t be afraid to pass off any items you realize you don’t need to a nearby employee. In the land of lunch, sandwiches rule. One thing that can change, though, is pre-sliced deli meats, which can get very expensive. There are a few alternatives. First, you can order large cuts from the butcher counter and have the butcher trim it for you. You’ll get sandwich-sized cuts of deli meats for a fraction of the cost. That can save you about 30 percent compared with buying everything pre-cut. Second, think barbecue. Most proteins cooked in barbecue sauce are delicious; a slow cooker makes it easy. Drop your cuts of meat in the pot, cover with sauce, and cook on low for a few hours. You can shred them with a fork for delicious barbecue sandwiches all week long. Pack ahead. Prepare the pieces for all your lunches at the beginning of the week and store them in the refrigerator for easy grabbing at a moment’s notice. Double your dinners. Doubling recipes and making larger dinners is an easy way to ensure lunch for the next day. This tip will save you time and cut down on food waste. Be prepared to turn down co-workers who invite you to eat out with them by thinking of a response in advance. Still getting a “break” with your lunch will make the transition easier. Brown-bagging your lunch doesn’t mean being chained to your desk. Weather permitting, you can eat in a nearby park, or sit in your car. 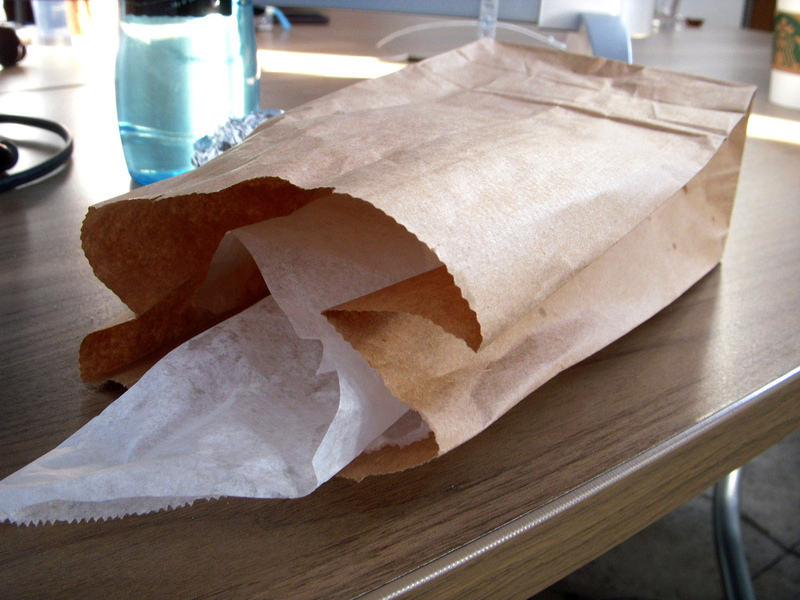 You can easily save at least $1,300 a year by brown-bagging your lunches. Try it today! Have any money saving lunch tips of your own? Share them below. Fall is one of our favorite seasons here at Community Financial. We love the changing colors of the leaves, pumpkins, hayrides, and of course, apple cider with donuts! Nothing quite compares to the picturesque scenery of a Michigan fall. If you love this great state as much as we do, join us in celebrating #PicturePerfectMI! From October 1-31, you are invited to post your own original photos from all around the mitten state on Community Financial’s Instagram at Instagram.com/communityfinancial. Make sure to use the hashtag #PicturePerfectMI and tag us @CommunityFinancial to give us permission to share your photo. Each week, one photo will be randomly selected to win a $25 Amazon gift card! We’re inviting all members and non-members to celebrate the beauty of Michigan by sharing their photos with us. 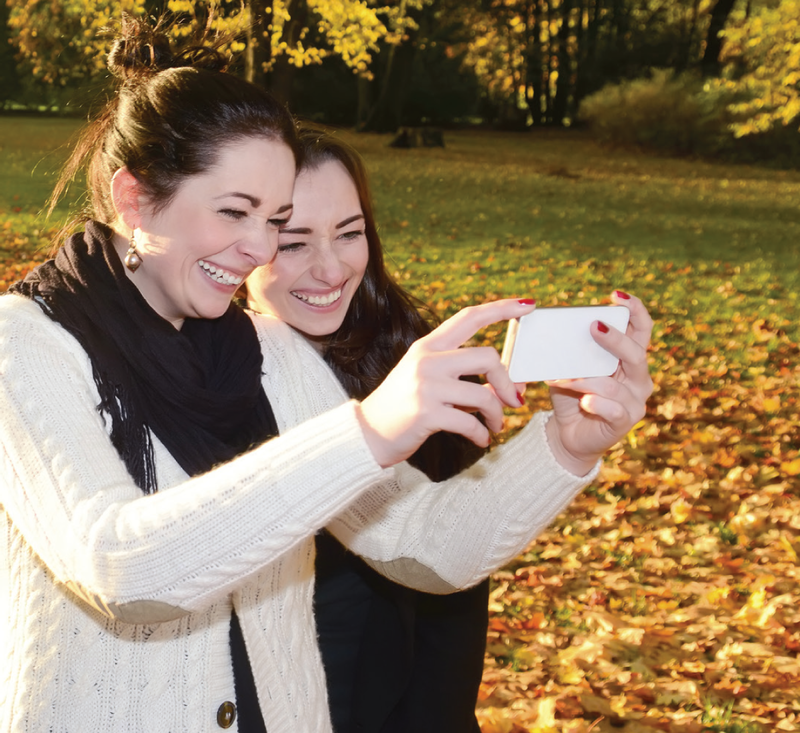 We’d love to see your photos of our great lakes, road trips up north, giant colorful trees, football game excitement, cider mill fun and more. This is the perfect way to celebrate the season and our beautiful state. Your Michigan memory could add $25 to your wallet! For complete details visit PicturePerfectMI.org. Happy fall and we’ll see you on Instagram! *Amazon.com is a registered trademark. Amazon does not endorse or support this offer. Amazon.com Gift Cards may only be redeemed toward the purchase of eligible goods and services provided by Amazon.com LLC and its affiliates.